Drugs known as buy flomax from canada triptans can relieve migraine symptoms..
Capacity 210 gm Large high resolution, backlit graphic display; ergonomic leveling system; AutoCalTM; cursor keys for navigation through menu; one function per key; available with or without internal calibration; user selectable stability levels; user selectable filters; stability indicator; auto-zero tracking; RS232 bi-directional interface with selectable baud rates; weigh below capability; menu and calibration lock-out switch; factory reset option; spill gutter; removable draft shield doors. Models are CSA certified to CSA 1010-1, UL 3101-1 and IEC 1010-1. FCC approved. It has equal arms, durable handy and precision instrument commonly used by factories and laboratories for general weighment. Body made of cast iron and Pans are of metal die pressed. Two pan balance for accurate and rapid weighing up to 2 kg. The balance has two beams with centre reading sliding masses. These weigh up to 0-200gm x10gm, & 0-10 gm X0.1 gm, total 210gm; Supplementary masses extend the range to 2 kg. With spring loaded zero adjuster and magnetic damping, with stainless steel pans of 150 mm diameter. Accurate, precise and designed with simplicity in mind. The clear wide-angle displays are easy to read and the sealed keyboards are immune to dirt and liquid. These features combine to provide a reliable, efficient high quality balance of outstanding value. 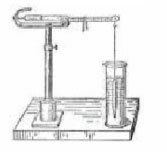 For finding out the specific gravities by Archimede’s Principle. Provided with two long and one short pan. It can be fastened at any height on the stand by means of a set screw. Large scale visible at a great distance. Fitted on a polished wooden base with levelling screws. 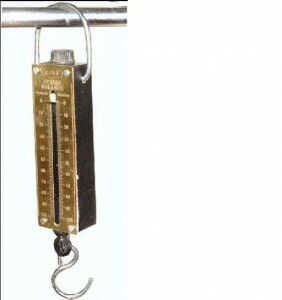 This balance has been designed to fill the long felt need for an inexpensive and robust single pan balance of modest size which will give consistent and rapid readings with an accuracy well within the scale reading. It has two ranges, reading 250 x 1 gm. and 1000 x 10gm. the changeover being effected very easily by rotating a hinged arm which carries the gravity weight. The index is to edge reading type, specially constructed to avoid parallax errors, so that the scale may be viewed from any convenient position. The detachable pan is not aluminium and a hook is fitted to the pan carrier for specific gravity work. It is meant for general use in schools and colleges. It is simple in character and smooth in handling . It can stand the stress and strain of rough handling. Fitted in wooden case having glass windows. Length of beam 22.860 cm. Dia. of Pan 10 cm. Circular scale, heavy pattern, suspension and load hooks. Single pan, total Capacity of 2610gm (Using attachments weights) sensitive to 0.1gm The three beams are each provided with a sliding weight and are graduated 0-500x100g, 0-100 x 10gm and 0-10×0.1gm respectively, permitting reading up to 610gm without the use of attachment weight. Magnetic damping of the beam provides quick accurate weighing, with stainless steel pan 150mm diameter. Accessories Attachment weights up to Two 1 kg and one-500gm weights with stainless steel knife –edge suspension for attachments to suspension pivot on the beam, to increase the capacity of the valance up to 2610gm.